Online ordering menu for JOHN'S CHICKEN AND BURGER. 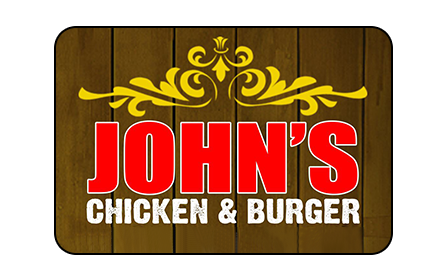 Come to John's Chicken & Burger for a tasty burger of Fried Chicken Combo! We also serve Gyros and Hot Wings! Try one of our Fish Sandwiches or the Spicy Chicken Sandwich. We're near the corner of Wantagh State Pkwy and Old Country Road. We're not far from Cantiague Park and NYCB Theatre at Westbury. Order online for carryout or delivery!